The core of the Olomouc Archdiocesan Museum is the former residence of Olomouc capitular deans to which, in the course of the centuries, other buildings were added. The land for the construction of the deanery in the area of the ducal castle was given to the capitular dean Bartholomew in 1267 by King Ottokar II of Bohemia. The palace of the capitular dean was situated on left in the western part of the north wing of the museum and the former burgravery was in the central part of the complex. The oldest part of the premises is on the right in the eastern part where the former New Castle with a circular tower was situated from the turn of the 13th century. The early Gothic burgravery was completely rebuilt in 1524 and after the demise of Olomouc castle in the 16th century the palace building of the burgravery was connected to the adjacent capitular deanery. Even though the deans palace in the north-western part of the premises fell into ruin during the Thirty Years War, in the course of the following century it was restored over several stages. During the reconstruction, in the last third of the 17th century, the deanery was expanded with the addition of a lateral wing towards the south and a garden was established in front of the deanery, and separated from the buildings in front of the cathedral by a wall with a gate. The Baroque reconstruction was completed in the middle of the 18th century. In the eastern part of the premises, under Dean Kašpar Florentin Glandorf (1748-1751), in place of the partially defunct New Castle, the most recent wing with a new carriage house was built adjacent to the circular tower. The interiors of the upper floors were also remodelled with abundant paintings, stucco decorations and decorative inlaid floors. On the top floor of the circular tower is the prelates chapel. The northern wall of the capitular deanery was expanded by Dean Rudolf Thysebaert (1842 - 1868) in the 19th century with the "Blood-stained Access Balcony" made of unplastered bricks. The initiator of the last reconstruction in a historical style was Dean Robert Lichnovský (1868 - 1879). The work was supervised by architect Franz Kottas, who remodelled the interiors of the deanery (in particular the Crest Hall and St. Barbora’s Chapel), rebuilt the loggia in the central part of the main wall and restored the facing wall of the carriage house. Later the Baroque mansard roofs were replaced with saddle roofing. Part of the deanery premises is also the three-wing service yard in the west. Its south-west part, built towards the end of the 17th century to an L-shaped plan, was expanded into its present form in the middle of the 18th century and it currently serves as the operating background for the museum. The whole museum complex underwent a complex conservation reconstruction from 1998 to 2006. Part of the project of the Prague architectural office HŠH architekti was, besides building offices, depositories, a photo studio and a refinishing workshop, the reconstruction of the building of the capitular deanery and its functional link to the Romanesque episcopal palace. HŠH architekti are the authors of the design of the architectural form of the permanent exhibition of the Archdiocesan Museum. Leoš Mlčák – Pavel Zatloukal, Průvodce areálem olomouckého hradu, in: Gabriela Elbelová – Pavel Zatloukal (ed. ), Arcidiecézní muzeum Olomouc. Průvodce. Olomouc 2006, p. 39-54 [edited]. 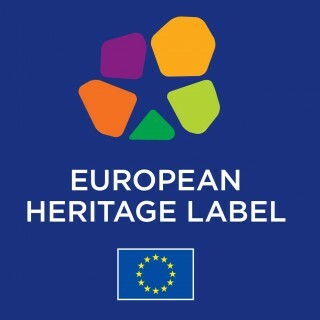 Olomouc Archdiocesan Museum - the holder of the title "European Heritage Label". More about this award and the Archdiocesan Museum can be found here on the video.